Let’s discuss how to start an Etsy shop that consistently earns creative artisans a great paycheck each month. It’s a thrill to be able to do what you love and make money on your creations, too! It’s important to understand that many Etsy sellers make $1000 a month, or less. That’s $12,000 a year. According to several case studies, Etsy sellers that considered themselves full-time sellers earned just under $49,000, which is not bad for doing what you love. However, this is not a quick road to wealth. It is entirely possible to make six figures selling on Etsy. There are a number of very successful shops that earn well over $100,000. But, for every one shop that makes $100K, there are thousands that only earn several thousand a year. I’ll get to my point. If you want to be one of the ultra-successful Etsy shop owners, you will have to work harder and smarter than your competitors. In my opinion, the most important thing that you must decide as a businessperson is to set Etsy business goals. These goals will affect everything else that comes afterward. They are going to direct you in the amount of time that you are going to spend researching items to sell, how much time and money that you are going to spend on inventory and how much you spend on initial expenses. Most successful Etsy shop owners have goals that are financial or inventory-based. Why? Because they are the only measurable numbers that Etsians have to set attainable goals. A goal that states “I want to have a popular shop” or “I want to be able to quit my second job” are not measurable goals. Your goals must include tangible numbers. In the first full month of selling, your goal may be to completely set up your Etsy shop and sell $100 worth of goods. That is an attainable goal. The next month, your goals may be to have 50 items in your shop inventory and have $300 in sales. It’s also important to set both short-term and long-term goals. The short-term goals keep you focused on day-to-day tasks, while your long-term goals should allow you to develop your business plan over time to achieve your goals. Just make sure that you keep your goals attainable. An Etsy business is similar to any other business outside of the internet. 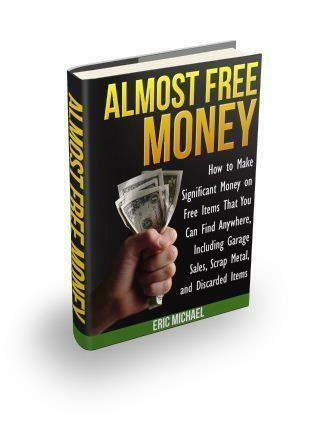 It takes a while to get to the point that you are consistently making money. You are going to have to put in some time and money to get there. Success is not going to happen overnight for 99% of Etsy sellers. There are going to be some lean months at the beginning. It’s good to dream big, but you don’t want to continually come up short. It feels great to achieve your long-term goals! Now that we have a set of goals set for our business, we will move on to understanding how Etsy works. Let’s go into the Etsy website: https://www.etsy.com. Doesn’t Etsy do a fabulous job of showcasing artisans right from the welcome page? eBay doesn’t do that on their welcome page. Etsy puts a focus on its sellers and their relationships with consumers of crafts and vintage goods. 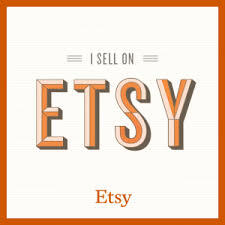 You will also notice that Etsy’s welcome page is marketed towards women – there are photographs of women and shops with women’s names featured. This is another reminder to make your business attractive to women as we develop our shops. Now, it is possible to wander around Etsy without creating a profile, but in order to buy anything, customers have to log in and create a profile. Let’s do that now. Click on the ‘Sign In’ link at the top right corner of the page. Enter your information and connect your account to your Paypal account. If you do not have a Paypal account, you will be provided a link to sign up for Paypal. It will be necessary to accept Paypal payments to sell on Etsy as 95% of your customers will pay with Paypal. Now that you have a profile, you are ready to shop. The profile that you set up will also eventually be connected to your Etsy selling shop. Both your buying and selling on Etsy are done under the same profile. You do not have to set up your shop when you first register for Etsy as a customer. You don’t even have to name your shop yet, and that’s good. You have to do some research before you get to the point that you are ready to build your shop. Etsy Market Research – How to Make Your Shop a Guaranteed Winner! As we have discussed in previous chapters, it is important to treat your Etsy business just like any other business outside of the internet. As such, the research that you conduct before launching your business will ensure that your Etsy shop will be profitable and successful in the future. Think of it this way – would you build a shop in a city that you had never been to without finding out if people would go to your new store if it were built? Would you pay to load your shelves in your new shop with goods for sale without determining whether people in that town buy those types of goods? Of course you wouldn’t! You would talk to people that live where you want to build the store first and find out if there is an existing demand for your products. This is a mistake that limits many new Etsy shops and it is the main reason why these shops only make a couple of hundred dollars (or less) each month. There are tons of shops on Etsy that were haphazardly built with no advance planning. There are many more shops that were built only to sell a small selection of products that have insufficient demand to allow for business growth. Many artists and crafters already have decided everything that they are going to sell before they build their Etsy shop. That is a mistake! It is almost impossible to generate a large-scale additional demand for products after they are already for sale. It is substantially easier to make products that customers are already looking to buy than it is to try to entice customers into buying new types of goods. This is the most important thing to remember when building your shop: SELL GOODS THAT PEOPLE ALREADY WANT TO BUY! Say it with me again. SELL STUFF THAT PEOPLE ALREADY WANT TO BUY. The question then becomes: How do I know what people want to buy? Let’s get ready to sell some handmade items or vintage treasures! Most Etsians are creative individuals, so designing a great Etsy store will be right up your alley. Your main goal for designing your shop is to create a location that your customers will want to return to and shop. If you can create a unique niche that is a cool spot with unique items, your customers will be much more likely to return. 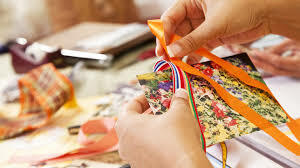 It also helps with return traffic if your customers identify with you and your creative process, if you offer handmade items, or how you obtain your collectibles and goods if you sell vintage items. It should be a lot of fun designing your shop. Don’t sweat the small stuff! Let’s roll! Your shop name is very important. Take your time and come up with a good one. Once you decide on a name, you will not want to change it. Your shop name will be on your professionally designed banner and your past customers will be searching for your original shop name in Etsy and Google search engines. So, what makes for a great Etsy shop name? You have to think like a customer, here. What does a shopper want in a shop name? It has to be easy to remember and easy to spell. Don’t try to get creative and use a shop name that has a weird spelling of a common word, like using ‘Kats’, or ‘Catz’, instead of ‘Cats. You want people to be able to type your shop name into a Google search bar and find it immediately. Your Etsy shop name will also be your internet URL address. Incorporate a high-ranking Google and Etsy search engine keyword phrase from your research for additional traffic to your shop! Don’t make your shop name more than three words. It’s too hard to remember. Check Google to make sure that your potential shop name is not copyrighted or trademarked. Check Etsy to ensure that your potential shop name is not already used by another seller, or is very close to the name of an existing shop. If you want to use ‘Unique Wall Clocks’, make sure there is not an existing shop titled ‘Unique Wall Clock’. Consider your target market and come up with a name that will resonate with them. Remember, Etsy shoppers are primarily younger women. Remember that your shop name will be featured in your shop banner and also may be used on your website and/or social media headers. If the title lends itself to a cool banner design, so much the better! Keep it on the straight-and-narrow. Don’t try to sound cool. There will be older Etsy shoppers that may be put off by certain shop names. Don’t alienate any user groups with your shop name. Alliteration or rhyming can help customers remember your shop name. Amusing plays on words and humor can also be effective. Your shop name has to be one word, so use capital letters to separate words so that they are readable. ‘UniqueWallClocks’. Your shop’s banner is the first thing that customers are going to see when looking at your shop. It is extremely important that your banner sets a professional tone for your shop. The first big step that you can take to establish yourself as a serious Etsy seller is to have a professional designer create a great banner for your shop. You don’t have to spend much money at all to have a great banner designed! There are many gigs on www.Fiverr.com, where professional designers will make you a sharp looking banner for $5. You can also pay a bit more and have a more experienced designer create a banner for $25-50. Google ‘Etsy banner design’ and you will get a number of websites to explore. Etsy’s banner requirements are as follows: 760 x 100 Pixels, with a resolution of 72 dpi (dots per inch). The image file must be in .jpg, .png., or .gif format. Make sure that your shop title is the primary point of interest in the banner. Don’t use so many gaudy graphics and background noise that your shop name is hard to read. Use colors and designs that accent your shop inventory. If you are selling doll clothes, pastel colors may be preferable. If you are selling vintage computer parts, a vintage tech-style font may be cool. I have seen several banners that incorporate an arrow that points down at your Facebook Like link on the left side of the banner. This encourages people to click on the Like link. Take a look at some of your competitor’s banners and take notes on what you like and don’t like. Provide this information to your banner designer when you order. Your shop’s title is basically a slogan that adds descriptive text to your shop name. If your shop name is ‘Unique Wall Clocks’, your shop title might be “Vintage Clocks for any Retro style Decor”. You can have up to 66 characters in your shop title and the characters can be letters or numbers. The title can be found in ‘Your Account’, ‘Info and Appearance’. The title is searchable by Google and Etsy search engines, so it is advisable to add some of your keyword phrases from your research to enhance the likelihood of gaining additional traffic to your shop. The shop announcement appears in your Etsy shop immediately below your shop banner. The announcement allows you to add more refinement to your title and shop name. You will see a wide variety of uses for the announcement, if you visit a variety of shops. Some owners use the announcement for advertising upcoming sales. Some owners have a short description of their inventory and philosophy in their announcement. I have also seen sellers describe why they started their Etsy shop, or how they design their creations. You can use a simple announcement or “go for the gusto” and create a complete profile for your shop that creates a buzz for your items. You can add professionalism by providing several blurbs from interviews that you have done or excellent customer reviews from your buyers. In order to connect your Etsy shop to your social media pages, go to Your Account > Settings. Then, click on the Facebook and Twitter links to connect them to your Etsy shop. The process is easy and takes only seconds. Adding your social links does several things for you. Establishes more professionalism for your business. All established businesses have a social media presence. 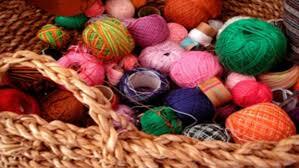 Many Etsy sellers buy likes and follows on Fiverr.com for their social media pages. Allows for a one-click Twitter follow or Facebook Like to build your following. Builds customer loyalty, if they can interact with you on your social pages. Allows you to post your new listings on your Facebook and/or Twitter pages with one click. This is awesome, especially on Twitter. There. Now you have the initial setup completed for your new Etsy shop. Congratulations! 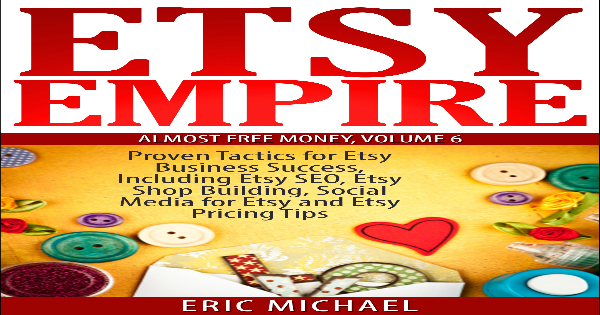 In Etsy Empire, we go on to discuss Etsy shop profile, Etsy networking, Etsy Social Media, Etsy SEO, Etsy photography, Pricing Etsy inventory items and much more.